Sandblasting is a powerful technique for smoothing hard surfaces, but it’s not an option that’s limited to professional contractors. Those of us with a little bit of do-it-yourself ethic can use sandblasters, too. Familiarizing yourself with the different types of sandblasters, and their uses can expand your ability to do everything from serious home-improvement projects to intricate arts and crafts. First things first, though: what, exactly, is sandblasting? Sandblasting is a technique in which an abrasive material is propelled at a surface. Peppered with the abrasive material, the surface will be beaten down by the tiny particles that make the abrasive, well, abrasive. The process can make tough large surfaces smoother, and can add texture to glass and other already-ultrasmooth surfaces. To sandblast you will need, naturally enough, a sandblaster. Sandblasters come in various types and sizes. Some large models are more or less limited to industrial and professional use, but other more modestly sized models can be affordable and effective choices for smaller operations and individuals. And there is much variation even within this category: some very small sandblasters can be used for detail work, while other, larger models are designed for broader surfaces. Some sandblasters are designed to conserve abrasive by taking it back up again after it is sprayed. A model like this usually takes the form of a sand blast cabinet. Smaller sandblasters may be handheld. A sandblaster is available for any person or job. A sandblaster can be highly useful to a DIYer with home improvement in mind. Sandblasters can deftly wear tough materials and reveal fresh, smooth, new surfaces. 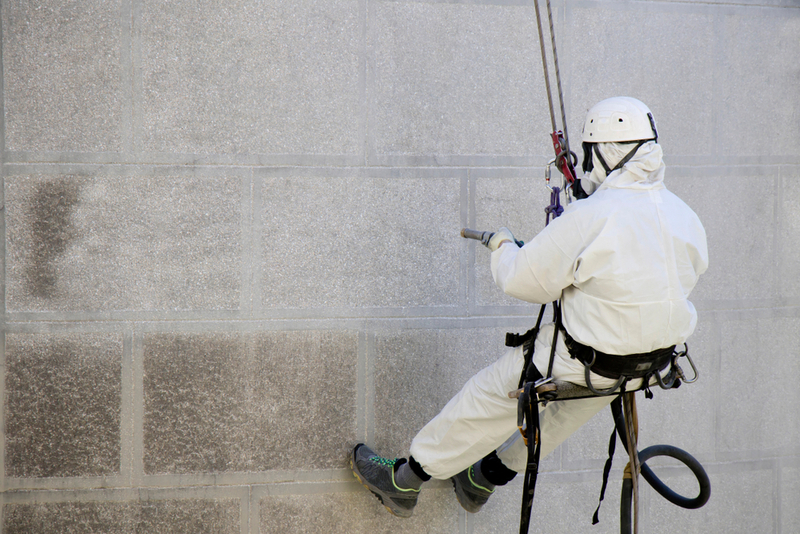 A smoother and more attractive wall or walkway is possible when you direct your sandblaster at concrete, brick, metal, and other tough surfaces. Outdoor work on walls and patios can be made a whole lot easier with sandblasters, and even some interior work (such as on exposed brick walls and concrete basement floors and walls) can be aided by sandblasting techniques and tools. It’s not just the home-improvement set that can stand to benefit from sandblasting. Those of us who like to do our own work on our vehicles will find sandblasting useful, too. Smoothing out fenders and hard surfaces, removing paint, and getting rid of rust can be a breeze with the high-speed sanding effect of sandblasting, making auto body work — often some of the toughest work to do without the aid of a professional — much more manageable. Hobbyist mechanics are no doubt familiar with the ways in which bolts, nuts, engine parts, and other things inside of a car can get gunked-up. Clearing the threads of nuts and bolts or removing buildup on engine parts is much easier with a sandblaster of the proper size and power. Cut down on the time you spend scrubbing and soaking engine parts! Sandblasters are so versatile that they can even be used in arts and crafts projects. A small sandblaster can add texture to glass, creating a frosted glass effect that can be used to elegant effect in customized glasses, vases, mirrors, and other glass-based projects! You can do so much with a sandblaster. It’s well-worth adding one to your tool kit and expanding the range of projects you’re ready to tackle yourself!